Landfill free — what’s the big deal? Junk King has been landfill free since 2011. Being landfill free is not just hype. Materials are biodegradable if they decay. The process of decay requires bacteria, light, and water. 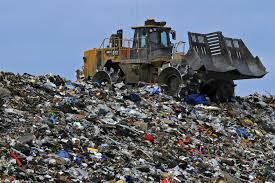 Materials that decay quickly above ground do not decay when buried in a landfill because the landfills lack bacteria, light, and water. For example, paper that decomposes in two months above ground can last 60 years or more in a landfill. The University of Arizona Tucson Garbage Project is an anthropological study of modern waste disposal. They dug up hot dogs, corn cobs, and grapes that were twenty-five years old and still recognizable. They dug up readable newspapers dating back to 1952. Pick Junk King to remove your unwanted junk and debris. Be confident that you have responsibly disposed of the items. Also, check out our 12 foot mini dumpsters for another option. This entry was posted in Uncategorized on August 8, 2014 by Alex Powers. Last updated April 11, 2018 .